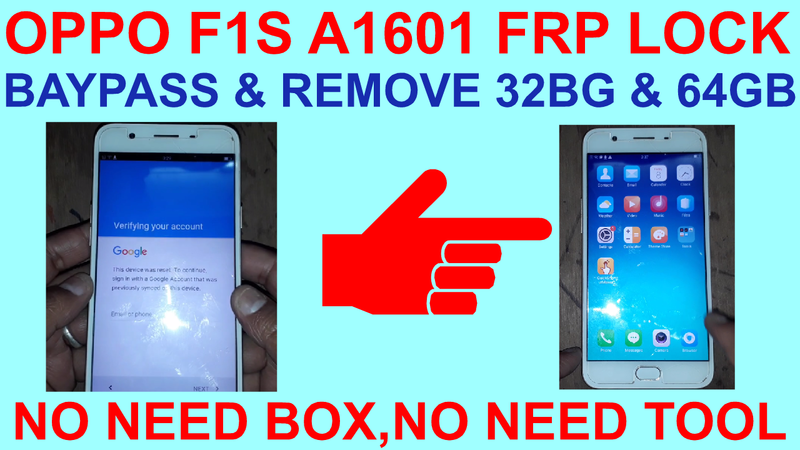 OPPO F1S A1601 FRP LOCK BAYPASS & REMOVE 32BG & 64GB. OPPO F1S A1601 FRP LOCK REMOVE METHOD. 2# Click hand sine like video. 4# Open help & about. 7# Download quickshortcut maker apk. 9# Logine your new gmail. 12# Go to setting and remove your logine gmail. 13# Now your phone frp lock remove complite.